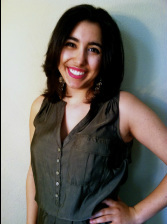 Laila Abdo, a first-generation Lebanese-American, grew up in Harrisburg, Illinois. In May, Abdo will receive a Bachelor of Science in Biology and a Bachelor of Arts in Music from Southern Illinois University-Carbondale. 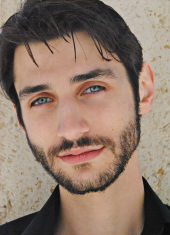 Abdo played the principle role of Callie in the collaborative endeavor The Faustian Flag (2012), led by director Patrick Sutton at the Gaiety School of Acting in Ireland. The touring production of As You Like It (2014) will be Abdo's second Stone Soup Shakespeare production after appearing as Aaron the Moor in Titus Andronicus (2014). At SIUC, she has been in Die Fledermaus (2014) and Ragtime (2013). During Southern Illinois Music Festival, Abdo sang in the chorus of Carmen (2013). She is an accomplished musician who plays piano, trombone, and euphonium. Abdo is also multilingual, with fluency in Arabic and Spanish. 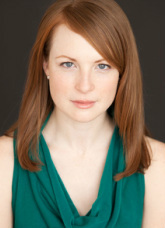 Marissa Ford is a Chicago native and alumni of the Drake University BFA Acting program. Credits include The Tree that Grew Human, Standing on My Knees, Fefu and her Friends, Urinetown, and choreography for A Fiery Destination. 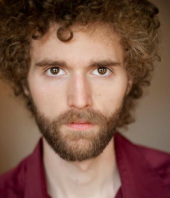 Ian Geary is excited to be a part of Stone Soup Shakespeare for the first time. His St. Louis credits include: Collins in the premier of Scutter Murphey’s Wake by Pat Conroy (Back Lot Theatre), Arcite in Two Noble Kinsmen (St. Louis Shakespeare Co.), and Malcolm in Macbeth (Meremac Community College). His Drury University credits include: Jack in Anatomy of Temptation, Lenny in Rumors, Mr. Goldberg in The Birthday Party, Judge Brack in Hedda Gabler, Little Bear in the premier of Vegetables by Mick Sokol, and Malvolio in Twelfth Night among others. Nicole is thrilled to be returning for her third tour with Stone Soup Shakespeare, where she enjoyed portraying Hermia, Snout, and several fairies in A Midsummer Night’s Dream (Tour 2012) and Trinculo and King Alonso in The Tempest (Tour 2013). She has performed with various companies in Minneapolis/Saint Paul and the Washington, DC area and currently resides in Chicago. She was seen most recently as Jade the Ozian in The Wizard of Oz (Compass Creative Dramatics) and Pocahontas in The Indian Princess: An Operatic Comedy (Schlock Entertainment). 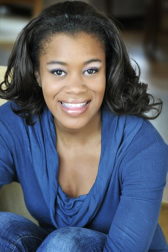 She is also a touring ensemble member of Shakespeare All-Stars in Chicago. Nicole holds a BA in Theater from the College of Saint Benedict (Minnesota) and is an Artistic Associate with Stone Soup Shakespeare. Ben Schlotfelt was born and raised in Iowa. After graduating from the University of Iowa with bachelor degrees in Theatre and Film he moved to Chicago to pursue acting. Recent Chicago credits include The Most Ado; A Party Play (Much Ado About Nothing adaptation), Yikes! There's a Phantom at the Opera, and King Ubu. He is very grateful to the talented performers he's gotten to work with during this run and for putting up with his bad puns and whatever else may annoy them. I'm sure it's been worth it. He is also very thankful to his employers, friends, and (most of all) family; all are essential in making this a possible venture for various reasons too numerous to get into. 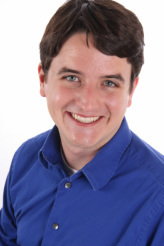 Quinton Sledge recently graduated from Millikin University this past December with his BFA in Acting. While at Millikin he portrayed various roles including Cléante in Tartuffe, the yoWitch in Macbeth, and Caiaphas the Elder in The Last Days of Judas Iscariot. As You Like It with Stone Soup is his first professional credit right out of school and he couldn't be happier to be a part of this beautiful adventure. 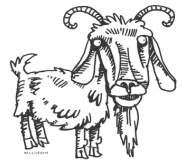 Julia Stemper continues to count herself lucky to have Stone Soup Shakespeare in her life. 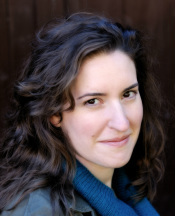 After last year's tour of The Tempest, Julia returned to Chicago and worked on King Ubu (The Plagiarists), Lydie Breeze (Ka-Tet Theatre) and Moon Rhymes (Filament Theatre Ensemble/The Gift Theater). Other past credits include Mae (Peter Arnott's Heuristics in the Diner - UK Premiere), Jackie-O (The House of Yes - Stroyka Theatre) and a school child (Help Help The Globolinks! - Marjorie Lawrence Opera on Wheels, 1987). Julia holds a BA from Macalester College in St. Paul, MN and an MA from the Royal Conservatoire of Scotland in Glasgow, Scotland.